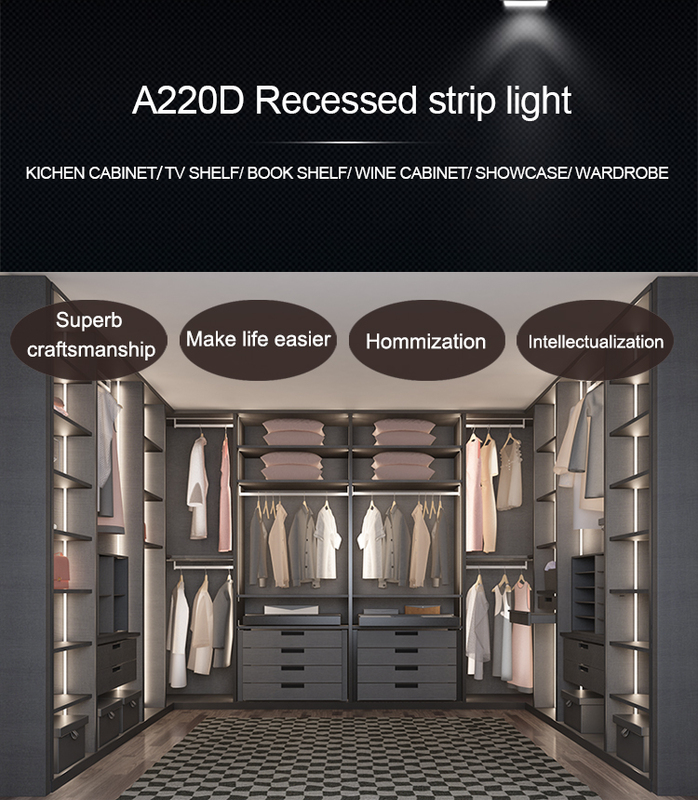 A220D led stripe lighting system provides great feel of wardrobe, home office or studio. 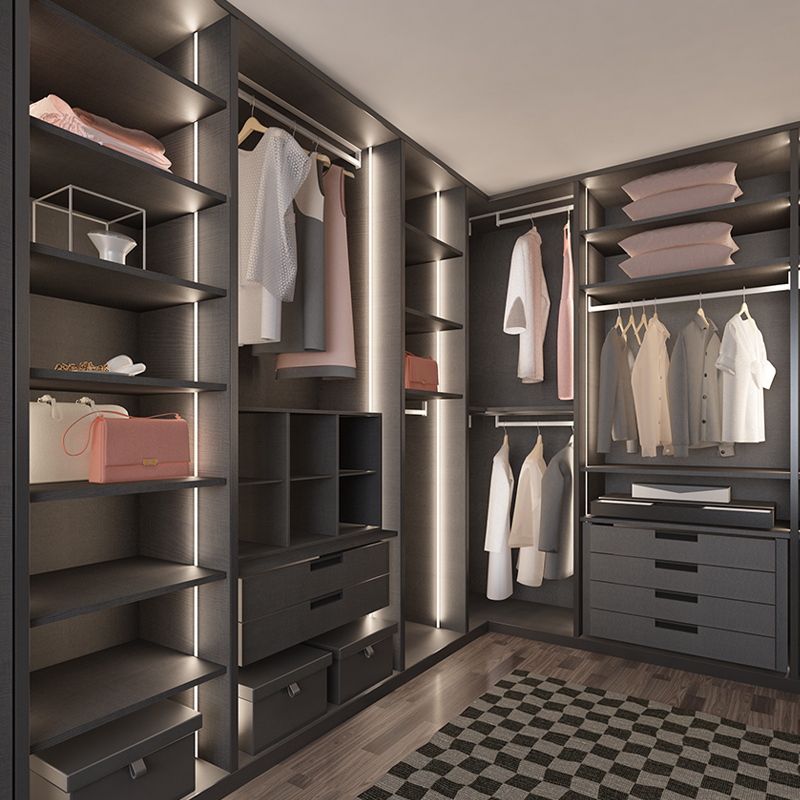 The high-powered LED light source provides a soft white light, perfect for highlighting those hard-to-see areas under your wardrobe. 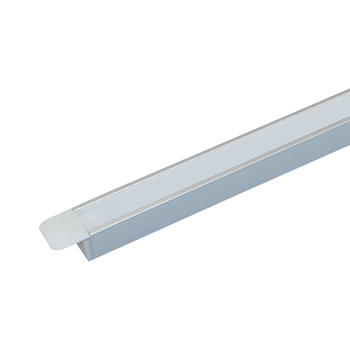 The LED light is energy efficient and has a longer life, with no bulbs to replace. 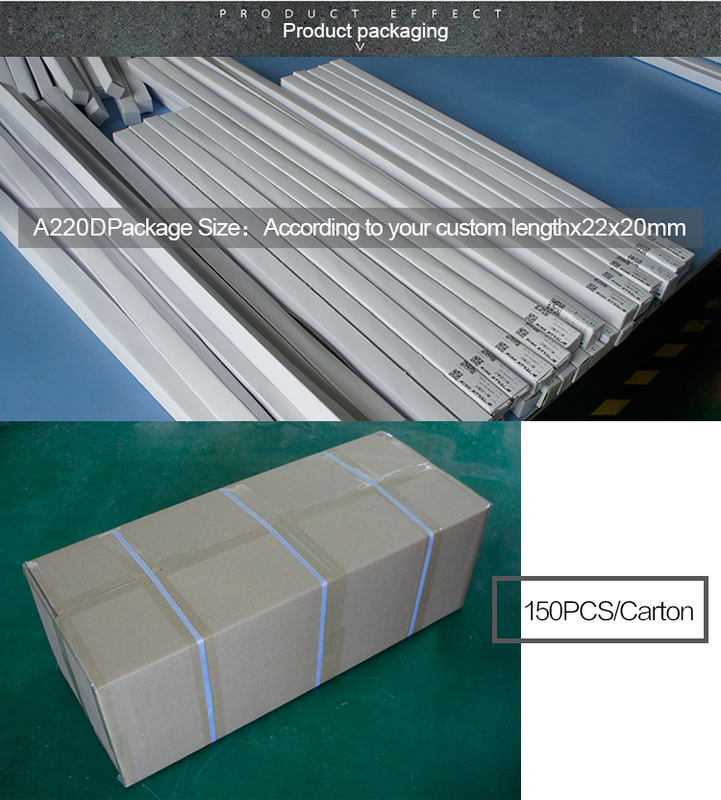 Different size for your choice: 1000mm or Custom Size-Free made. Color temperature: 3000K, 4000K OR 6000K, OR Custom Colors. 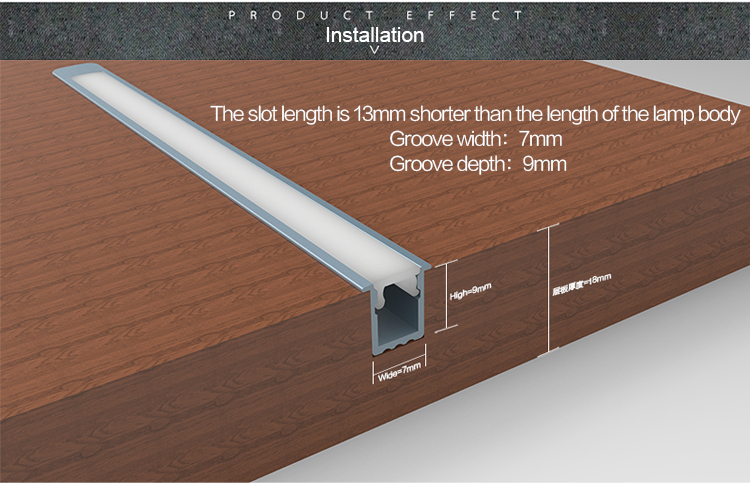 Two ends with brackets 9MM X 9MM, It can cover groove well, and make board surface be flat!!! 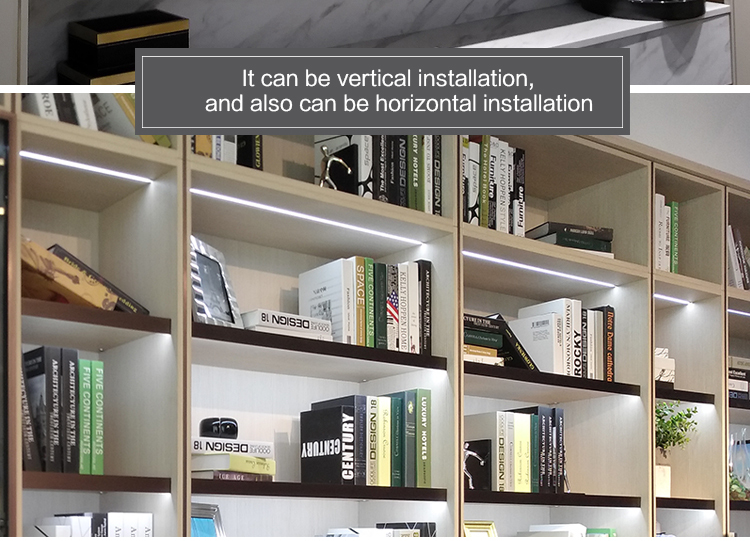 Installation way: Recessed mounting can be virtually flush-fitted into a groove. 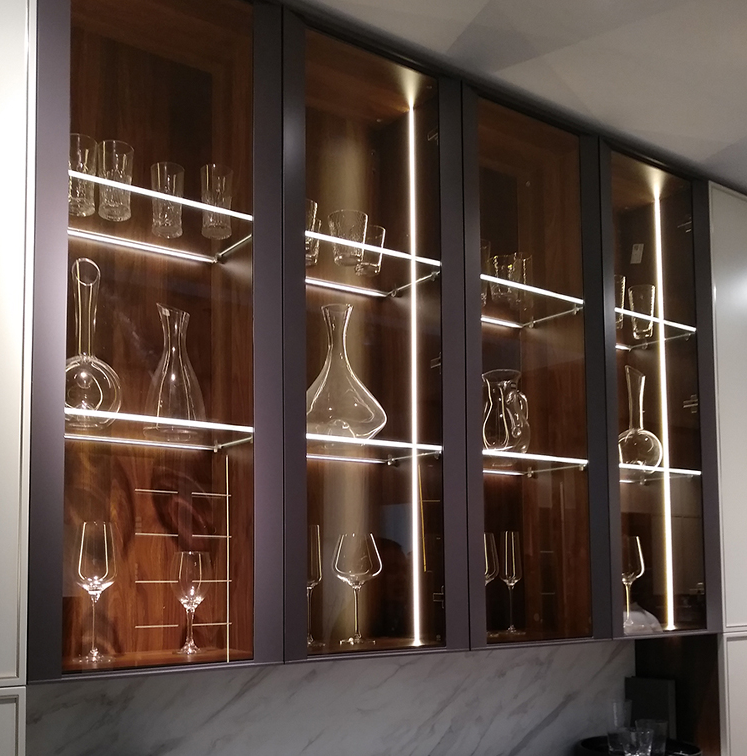 This light can be installed in anyplace you wanted. 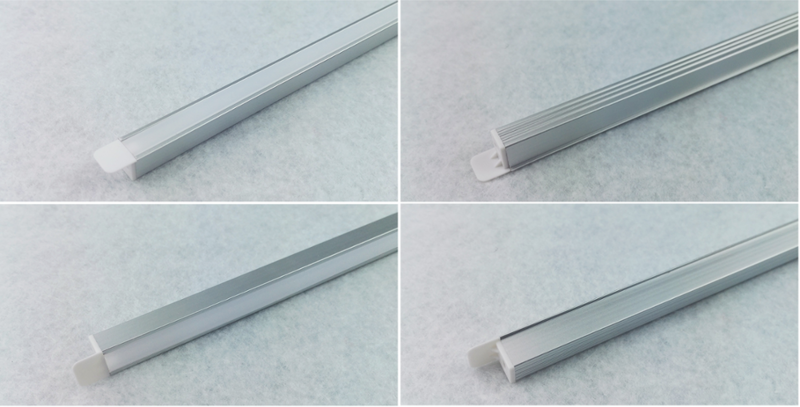 APPLICATION: A220D led stripe lighting system can be used on UNDER CABINET, INSIDE CABINET and anyother place you wanted. 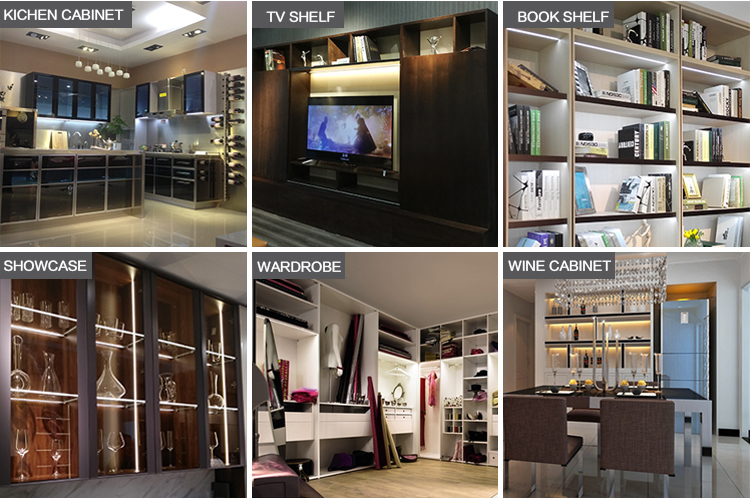 Related products: "Click" the linking please!! Q1. 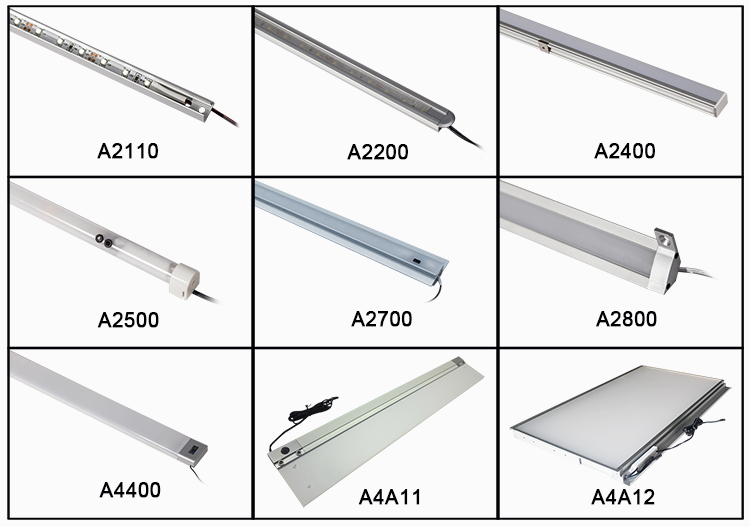 How should we choose led light undercounter? Q3.What is the warranty of your lights? 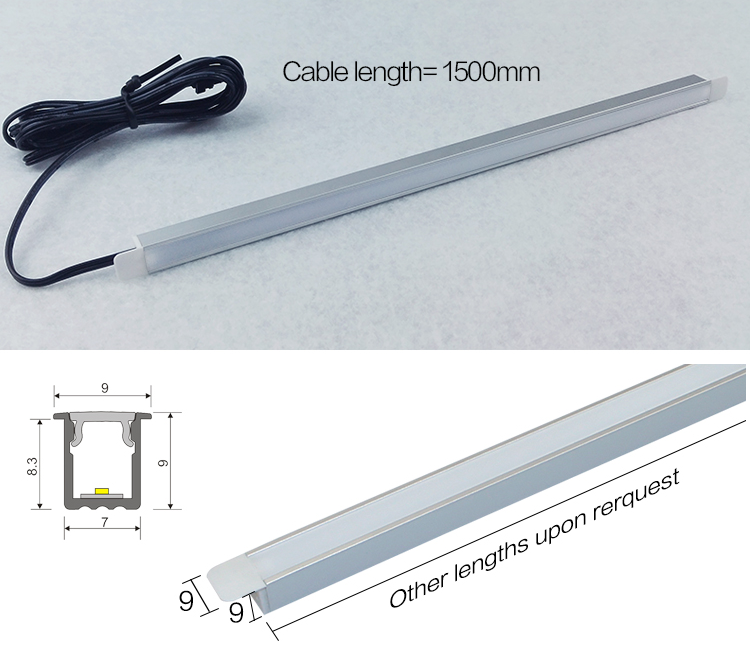 cables for long distance.Artcilux Active infrared sensor 12V led strip light for Under cabinet/Inside cabinet/ Wall cabinet/Cupboard.